The Gary Halbert Letters All-Star Audio Series is LIVE… — Brian McLeod | Direct-Response Copywriter, Expert Marketing Consultant | LoudMac Creative, Inc.
I’ve been chomping at the bit for close to a year now, keeping a HUGE secret and waiting to share something amazing with you. 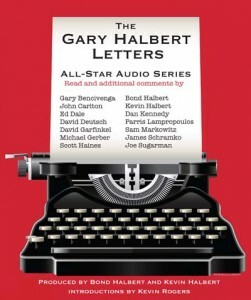 The Gary Halbert Letters All-Star Audio Series is now live on iTunes! 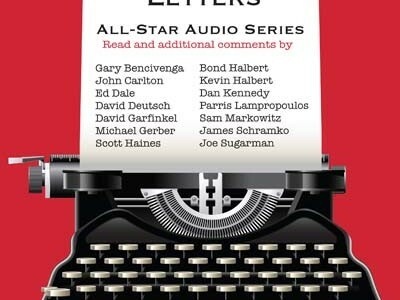 Bond and Kevin Halbert have assembled a line-up of direct-response copywriting royalty to read their favorite Gary Halbert Letters and provide their own unique commentary on the lessons they contain, and some of their favorite stories and insights about Gary. We’re talking about the very best of the best like Gary Bencivenga, John Carlton, Dan Kennedy, David Deutsch, Parris Lampropoulos, Michael Gerber, Joe Sugarman, Scott Haines… and more. The collection comes on two iTunes “albums” – Part 1 and Part 2. Each album contains 7 Gary Halbert Letter commentaries, read by a different expert and introduced by the one and only Kevin Rogers. Here’s all the details – including a quick ten-minute sizzle reel where you’ll hear Jay Abraham read an excerpt from a never-before published Gary Halbert Letter called “Tugboats”. 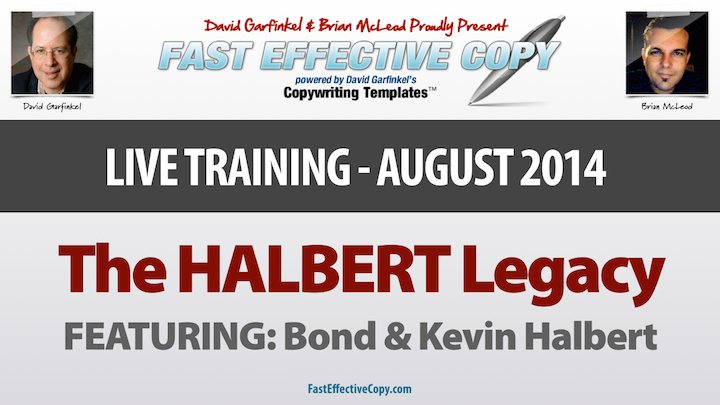 I’m equally excited to share the opportunity to join David Garfinkel (who reads and comments on “The Water Ad” on Part 1 of the audio series) and I for a free one-night only live training webinar for our Fast Effective Copy members next Wednesday evening called “The Halbert Legacy” featuring our special guests, Bond & Kevin Halbert. We'll be digging deep into the making of this "new classic" as well as uncovering a bunch of surprises - you'll definitely want to be there to interact live with Bond, Kevin, David and I. Anyway, I'm really happy for Bondo and Kevin and excited for you guys to check it out. This has been a TON of work for everyone involved. Most of all, I can't wait for my turn to read one of the letters on a future edition!